In recognition of any member in good standing attaining twenty years of active participation in the Band, said service will be honored by the presentation of the band ring. This ring will only be available as an award and symbol of accomplishment. 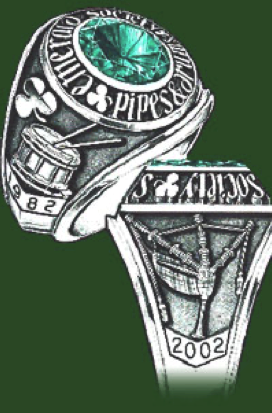 The cost of the ring will be borne by the band. The ring will not be offered for sale to band members nor made available in any matter to non-members.